The top ten films, the most mystical beard, and other highs and lows from the year in cinema. What does it say that three of the top five films on my list this year--and another that could easily have made the top ten, Coraline--are “kid’s movies”? In the end not much, I think. Two of the three, Where the Wild Things Are and Fantastic Mr. Fox, were directed by talented indie auteurs (Spike Jonze and Wes Andersen, respectively) who merely happened to adapt children’s books in the same year. And the third, Up, is by Pixar, so its excellence requires no further elaboration. But if there is something the films have in common that seems to elude most “grownup” pictures, it is the marriage of whimsy with deeper, darker elements: the palpable grief of Carl Fredricksen in Up, the loneliness and rage of Max in Where the Wild Things Are, the undercurrents of existential dissatisfaction in Fantastic Mr. Fox. This knack for melding disparate elements, never easy, seems harder than ever for Hollywood to pull off. The big summer entertainments--this summer’s in particular--are much dumber than they need be, and the Oscar-season hopefuls too often wear their seriousness like a hair shirt. The idea that a good, or even great, film can also be fun seems to have fallen into some disrepute. Two films that tried to make the marriage this year, Jason Reitman’s very good Up in the Air and Tony Gilroy’s only somewhat good Duplicity, missed to varying degrees, the former by skimming too lightly over the tragedies it surveyed, the latter by skimping on the humor. But both at least strove to be adult entertainments, an ambition that seems ever rarer. On to the list, with the usual caveat: Though I saw a great many films in 2009, I did not see all of them and, in particular, still have a few documentaries and foreign films on my must-see list. (Yes, Summer Hours, I’m talking about you. *) For any interested, my lists for 2007 and 2008 can be found here and here, respectively. With that, here goes. A year after Wall-E, I would have much preferred not to give the top spot to another Pixar release. But in a year of good but flawed films this was, for me, the least flawed, and its early “Married Life” montage was by far the most moving four minutes I spent in a theater last year. Vastly imaginative yet minutely observed, Spike Jonze’s adaptation of the Sendak classic is among the most unsparing portraits of childhood--and parenthood--ever committed to celluloid. A nimble, elegant film but, like its protagonist, a touch aloof from realities on the ground. Despite the tour-de-force performance by Jeremy Renner, the true star is director Kathryn Bigelow, who delivers the year’s most harrowing, exhilarating action film by far. After years of diminishing returns from his twee tableaux, Wes Anderson pulled himself from his rut with an animated children’s adaptation that is, oddly, among his most mature films to date. Judd Apatow’s best film, and his most misunderstood. Yes, it is profoundly overlong (a common flaw this year), but it is the much-derided final act, in which wished-for romance is revealed as merely another in a series of dodges, that makes the film. Morally idiotic? Yes. Profoundly juvenile? Absolutely. But also a reminder of the dizzying cinematic gifts that its man-child director, Quentin Tarantino, seems content to continue squandering. Largely unheralded, this sneaky black comedy about agribusiness price-fixing is carried by a delightfully chattery Matt Damon turn--the anti-Bourne. The result is Steven Soderbergh’s most satisfying film in close to a decade. A bolt from the blue by first-time feature director Cary Joji Fukunaga: part Western, part romance, part road movie, part gangster flick (and, for the subtitle-squeamish, all in Spanish). Avoid the trailer--which gives too much away--and enjoy the ride. Director Tom Ford (yes, that Tom Ford) imbues his film with so much style that what starts out as beautiful gradually becomes suffocating. But he’s rescued from this fault--and from a horribly miscast Nicholas Hoult--by a sublime and understated performance from Colin Firth. 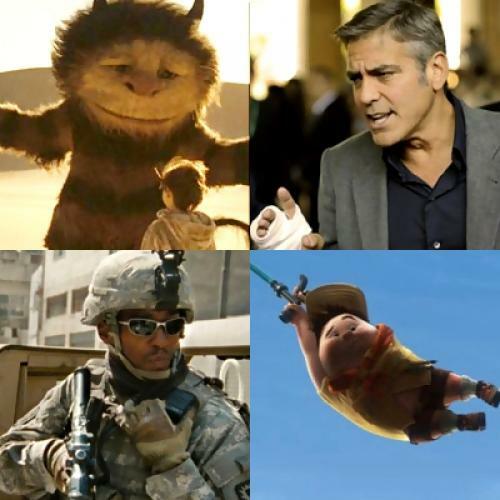 Runners-up: BBC Films, Twentieth Century-Fox , and Paramount, for releasing three George Clooney films (The Men Who Stare at Goats, Fantastic Mr. Fox, and Up in the Air) in just over one month. *Re: Summer Hours. A plea to IFC Films: Please find someone of minimal competence to put together your DVD screeners. I tried, with some exertion, to watch two separate copies of Summer Hours. The first was a mislabeled screener of Police, Adjective; the second offered a tantalizing 28 minutes of Summer Hours before freezing abruptly, switching over to the first six minutes of the Irish movie A Film with Me in It, and then stopping altogether. Add in a screener of In the Loop that would not play at all, and it is a truly dismal record. For more TNR become a fan on Facebook and follow us on Twitter.